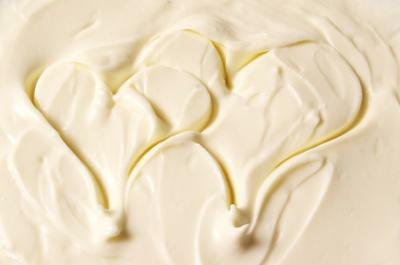 This raw cream cheese, also from Angela Stokes, is the topping for the banana nut bread recipe. It also requires few ingredients that are healthy so only the portion size is of concern. Blend all ingredients in blender to create the perfect raw cream cheese and serve on top of the banana nut bread. This would be a nice desert treat to take to a raw food potluck, as everybody gets a small piece so no one over does it on the fat and sugar combo. My guess is you’ll enjoy this raw cream cheese so much you’ll make this recipe for special occasions throughout the year.